Aggregate on matrix of sharp, translucent and very bright crystals. 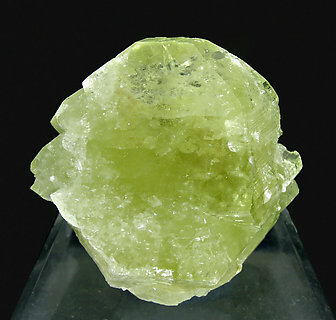 They have a very uniform greenish yellow color and the typical shape of the first crystals found at Linópolis. The crystal shows a parallel growth, with very well defined faces and edges, an excellent luster and a considerable transparency. The sample is almost complete except on its base, which clearly is a flat contact. 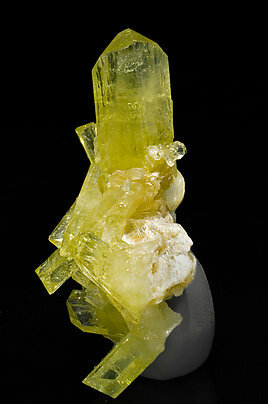 Very sharp Brazilianite crystals, many of them doubly terminated, with excellent transparency, color and brilliance. On a white Albite matrix. 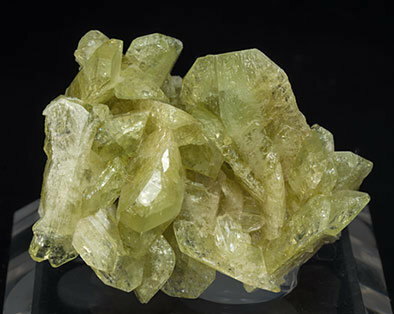 Esthetic group of Brazilianite crystals, all of them doubly terminated, good transparency and excellent luster and yellow greenish color. With a small Muscovite matrix. Group of elongated crystals, some of them doubly terminated. 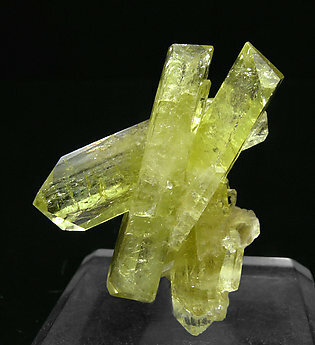 They are transparent, very bright and with a very intense yellow color and they are with leafy aggregates of Muscovite. 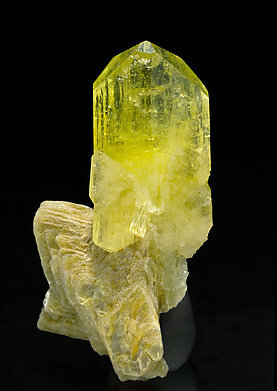 Elongated crystal of Brazilianite partially doubly terminated. It is transparent, very bright and with a very intense yellow color. Its matrix is a leafy aggregate, with a star shape, of Muscovite crystals. 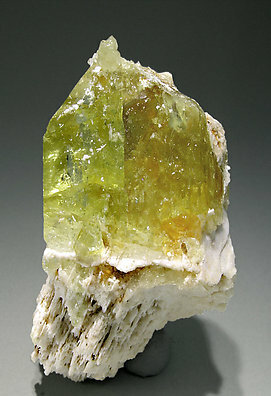 Brazilianite with Orthoclase. 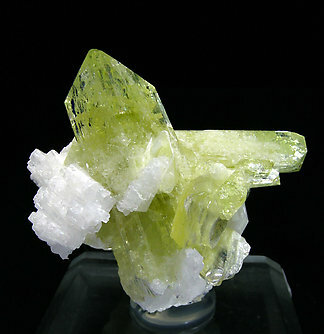 Different color from the usual Brazilianite (greener) and also aerial on top of the Orthoclase matrix. 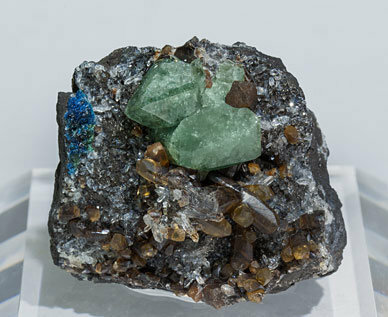 Group of Brazilianite crystals, one of them doubly terminated, with very well defined faces and edges, with a light green color and on matrix, with Siderite, Quartz and small Lazulite crystals. Their color apart, very uncommon for the species, we especially note the locality, where Brazilianite is a very rare species.